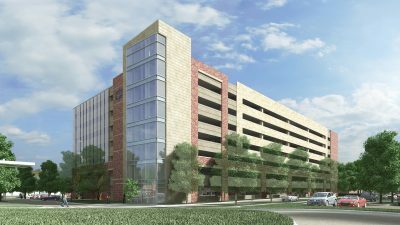 Washington Township, Gloucester County, NJ – Nov 18, 2016, SJ Times/NJ.Com – Kennedy Health plans to build a new seven-story patient tower and a 700-space parking garage on its Washington Township campus. Construction on the $225 million project could begin in late 2018. Kennedy employs nearly 2,000 workers around its sprawling Township campus. CES has been chosen to provide full site engineering for the 200,000 square foot building and parking garage, starting with pre-design that included a full property survey, studies, and discussions with the Washington Township Municipal Utilities Authority, traffic analysis, parking counts and analysis, and evaluation of multiple possible solutions for this complex project. 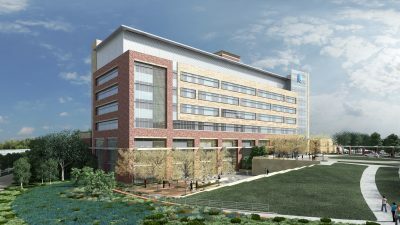 Full design and approvals are underway for this and a similar project at the Cherry Hill Kennedy Health Facility.